I’m so excited that March is here! March typically means spring in the Midwest, and I’m ready for it! I’m ready to get outside and soak up some sunshine + the longer daylight hours! Despite getting sick with strep throat at the end of the month, I had some amazing breakthroughs this month! Soaring after a breakthrough swim session! Head down giving it everything I have! My longest run since November that I finished with this amazing sunset! If you haven’t watched this yet, you really should! What to do When You Love/Hate Your Sport by Carrie Cheadle helps bring balance between having fun and your ego. 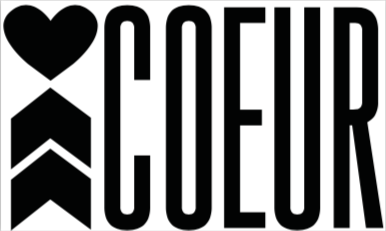 Sure we all need our “ego to help push us, to drive us to do better, but not sabotage our performance.” Sometimes we need to “just go out and play,” so put the ego on the shelf and reconnect with the joy that brought you to your sport in the first place! 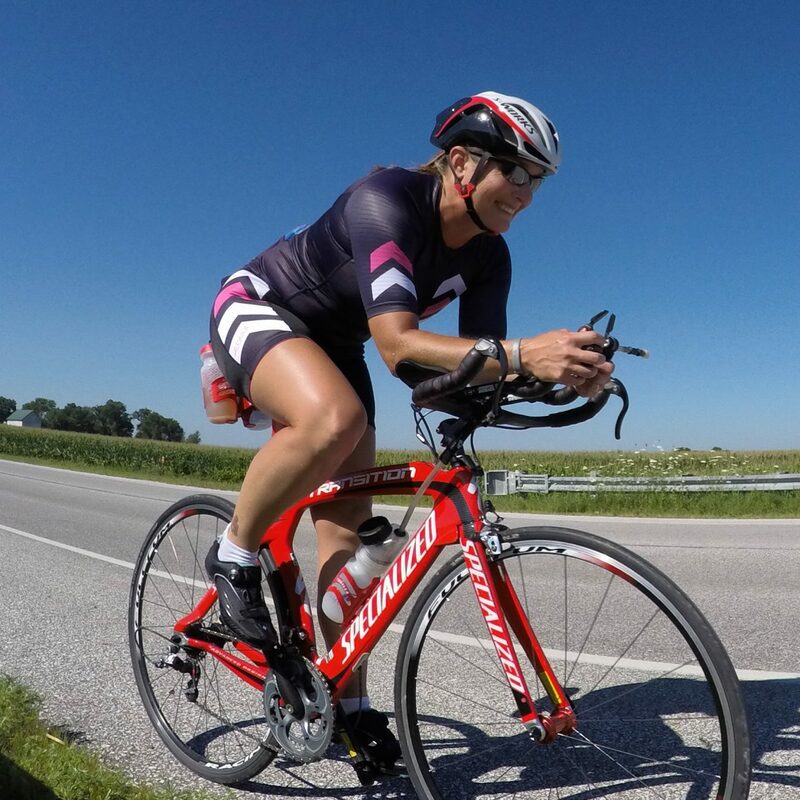 Nail Your Triathlon Goals in 2018 (by Setting the Right Ones) by Bethany Rutledge gives us 5 tips for a stellar 2018 season. Prioritize your workouts and use the winter months to focus on improving your weaknesses. Choose performance over outcomes by picking goals based on variables that you can control as much as possible. Work backwards from your big goal for the season to figure out what you should be doing between now and then. Be specific and choose a goal with specific metrics that you can measure. Think in terms of big pay off by putting your time and effort into areas that will give you a huge bang for your buck. Spring! More specifically, spring break! With a week left before spring break, I am looking forward to 10 days away from the classroom, doing some spring cleaning, refocusing my training, and decompressing before the last push to summer break! Being healthy! Since I am still taking meds for strep throat (only one day left), I am looking forward to being healthy, feeling good, and chasing dreams! Snuggles with my favorite girl! Having amazing peeps in my tribe keeping me healthy! Sound Probiotics + Karma Kombucha help keep my gut healthy when taking meds for strep throat. The Iron Hippie…my rock! He helps me be the best version of myself every day. I know I don’t say it nearly enough…thank you for all of your love, support, and help in life! Thank you for pushing me out of my comfort zone to help me become a better person! How was your month of February?! What are you looking forward to?! What are you grateful for?! Staying Healthy with Sound Probiotics + Giveaway! It is cold and flu season here in the Midwest and it is in FULL force! We have had students out of school anywhere from 3 days to almost 2 weeks with illness. Thanks to extra sleep, healthy eating, and boosting the body’s immune system with Karma Kombucha and Sound Probiotics I have stayed healthy so far this season. I started taking Sound Probiotics in March of 2015 and have noticed I have been sick MUCH LESS frequently! As endurance athletes, we stress our bodies during hard/long workouts, which makes us more susceptible to illness and fatigue; as a middle school teacher, I am engulfed in germs on a daily basis. Combine these two factors and I am the perfect breading ground for bad bacteria and viruses. Since taking Sound Probiotics daily for almost 3 years, I have been sidelined from my training due to illness only a few times. Probiotics not only benefit our immune systems, but they promote good gut health by improving nutrient production and absorption. They can also positively impact our mood and mental health. I have been SO impressed with the state of my health while taking Sound Probiotics, that I want to share a bottle with my readers. Please comment below with why you would be a good candidate for Sound Probiotics. One lucky person will be drawn at random on February 14. This candidate will receive one bottle with a one month supply of Sound Probiotics to jump start your gut and immune health!! I am an ambassador for Sound Probiotics, but these are my own opinions and experiences. Thanks to Sound Probiotics for contributing one bottle of Sound Probiotics for the giveaway and providing all of my readers with a 10% discount by using the code PUSHMYLIMITS at checkout! This week I was on spring break! That means only 11 more weeks until summer break…but who’s counting?! I had a lot of training + life balance + no stress this week. And. It. Was. SUPER FANTABULOUS! Monday I had a long swim and I was intimidated by it. Not only was it a long workout, but there was a lot of intensity built into it. I had self-doubt before the swim, but I stood at the edge of the pool and washed the self-doubt away. I changed the negative thoughts into positive ones. I went faster than expected, and CRUSHED this workout! Erasing self-doubt before + during my swim! WOW! I don’t even know how to describe how happy I am about the progress I have made on the bike and this week proved it! #TimeTrialTuesday proved to be a day of HUGE gains for me on the bike! I had an FTP challenge and I CRUSHED it! Going into the first 5 minute all out session, I was hoping to hold my power at or above 215 watts (this is the top end of my z5). I surpassed my expectations by holding 222 watts during that first 5 minutes. After a 10 minute easy spin, I then had a 20 minute FTP, where I was hoping to maintain 195 watts. I ended up pushing 197 watts for the duration and was so excited! This was the first time that I can truly say I left everything I had on the bike…so much so that when I was done, my legs were trashed! I worked so hard! I overcame self-doubt, the “pain” in my legs, and the negative thoughts that would creep into my mind. And. It. Feels. SUPER FANTABULOUS! #TimeTrialTuesday resulted in a 10 watt improvement in my FTP! I had an easy ride on Wednesday and followed this up with a high intensity ride on Thursday. Since I was working off of my new power numbers, this was a tough ride, but I successfully achieved each of my interval goals and that is something to smile about! When your power numbers improve, it means you have to lower your head and work harder than you’re used to! Saturday I had a 2 hour ride with a variety of pace changes throughout. And. It. Was. Tough! With an increase in my FTP earlier this week, it meant I had to work even harder. My mind was all in, but my legs just wouldn’t turn over and it didn’t matter how much I tried to convince them otherwise. I am INCREDIBLY grateful to Coach Kelly for understanding me, challenging me, supporting me, believing in me, and reminding me of the following: “You WILL inevitably “fail” some sessions. You must. If you don’t, you won’t know your limits. What you can handle…and then go to them to expand them out further. I take your long term goals seriously, so expect to be pushed. You’re going to need a series of mini breakthroughs to progress to high levels. Part of that will be days like this. If I give you an easier program you’ll feel good all the time for sure “crushing” every session…but as I once said to a coach… “I want to BE better, not feel better!” :-)” I agree with Coach Kelly! I don’t want the easy road! I WANT to be challenged! I WANT to be pushed out of my comfort zone! I WANT to push my limits to find new ones! I expect to fail…that is part of the learning + growing process! I want to BE better, not just feel better! Sometimes you ride the struggle bus, but you always grow, learn, and get stronger in the process! Found the worlds smallest snowman while running Tuesday! Running with the sunrise on Wednesday morning…so cold my eyelashes froze! This was one of my longest run in a while! New Newton Kismets! YES! Like butter on my feet! Trying to get some color on this pasty white body + soak up some vitamin D! I had some good variety in strength training this week. Tuesday was mostly core work after my FTP challenge, Thursday was full body strength and core while I taught TRX and Sunday I reconnected with my mat at yoga…MUCH NEEDED! Reconnecting with my mat was MUCH NEEDED! It was spring break week, so I got to load up on the training, get some appointments taken care of, take the occasional afternoon nap, and enjoy some downtime. Thanks to Coach Kelly’s guidance, I have made some HUGE mental gains this week in overcoming self-doubt, changing the negative channel in my head to a positive one, and that has translated quite well to my training…HELLO 10 watt increase in my FTP + swim gains!! This is my vision for Ironman Mont Tremblant! Sushi with friends = perfection! I had some amazing deliveries this week! Thanks to Breakthrough Nutrition, Karma Kombucha, and Sound Probiotics for keeping us happy + healthy! Sound Probiotics = FTW DOUBLE WIN! I had a massage! 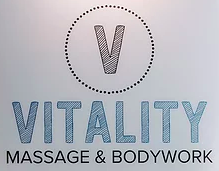 Thanks Nick at Vitality Massage for keeping my muscles happy + healthy! When your massage therapist says, “You have dense muscles, which is awesome! That means you’re strong!” Thanks Nick for making a girl feel good! Mom and Dad came to visit for the weekend. The four of us enjoyed Jersey Boys…such an AMAZING show!